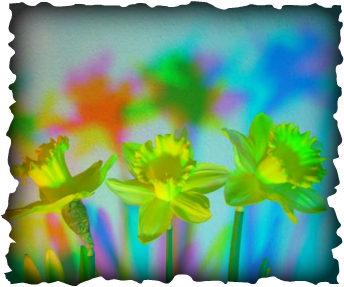 Each image is a photograph taken in early spring when daffodils are in bloom. 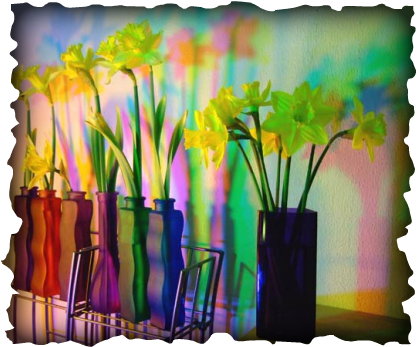 Each a unique work of art – a labor of love and fun, playing with nature and artifice for a burst of wonder, beauty and color. 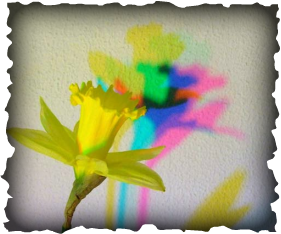 If you're interested in seeing more, or getting Chromatic Daffodil Shadows on things like greeting cards, note cards and postcards, head back to www.ambermichellcook.com and choose the CDS link for my Cafe Press site. These are new images taken last year.